427. Nat. St. Vincent 9,757p. 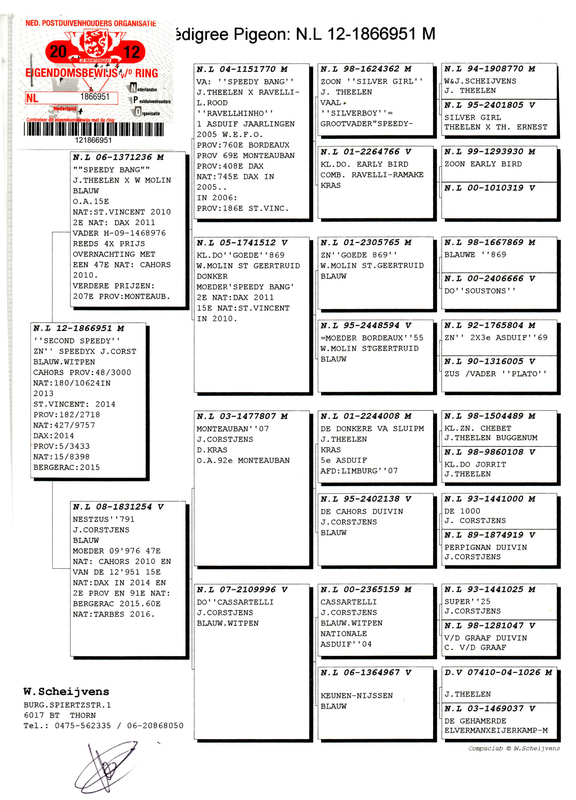 914. Nat. St. Vincent 6,169p. 1472. Nat. St. Vincent 6,228p. 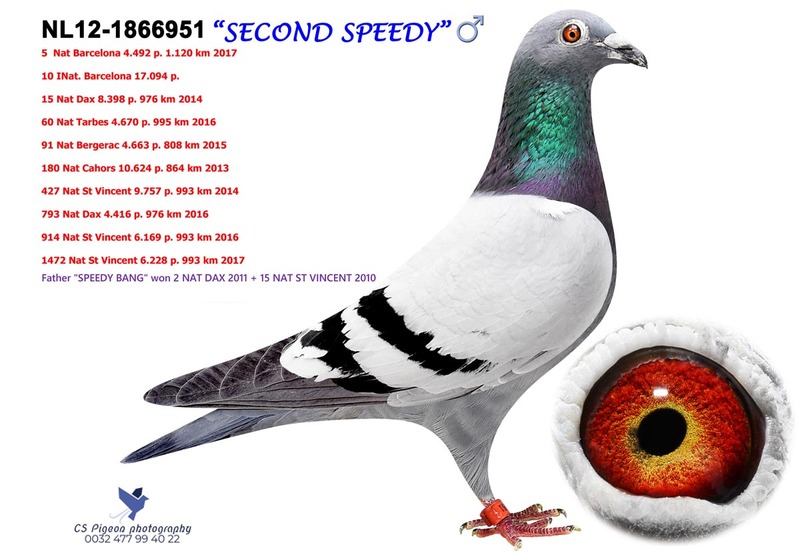 ‘Second Speedy’ is from multiple generations of top performers and breeders from extreme distances! 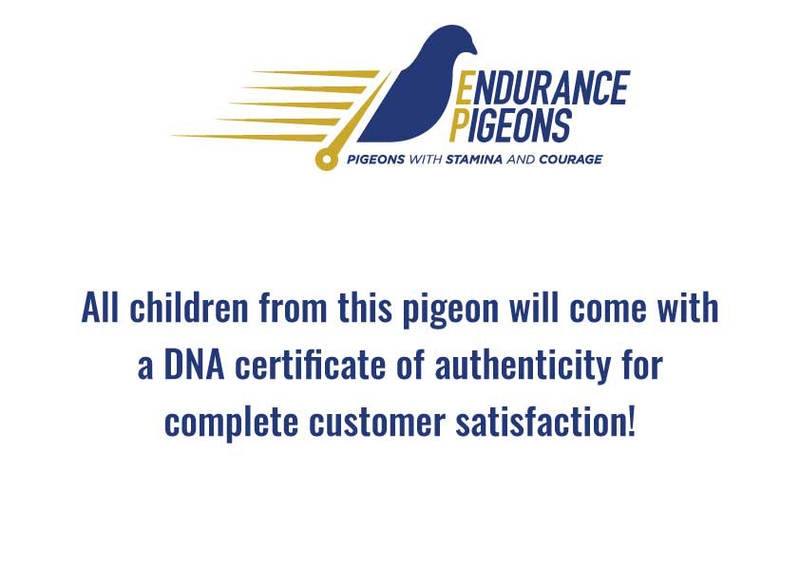 Please contact us below with your enquiry on how to purchase children and grandchildren of this fantastic Extreme Distance Champion!